In order to truly be prepared for whatever might happen in this world you need to have tools on hand no matter where you are. You might have a way to provide illumination or start a fire in your bug-out bag (BOB), at home, or in your car, but that will not help you if you cannot access it. However, there is one thing that every person carries with them at all times – keys! Which is why making your keychain into an everyday carry (EDC) tool kit is the perfect way to make sure you are prepared no matter where you are. The contents of an EDC keychain will be as individual as the person carrying it. Everyone has different needs and no two EDC keychains are alike. Having said that, there is one item everyone should have on their keychain – a good LED flashlight. This is useful in so many situations that about the only thing it can’t do is help you find your keys (it’s attached to them!). You can find some very decent keychain-sized LED flashlights that are small, yet powerful. A good example is the Photon II Micro-Light. No, men and women don’t necessarily need different items on their EDC keychains, but they do carry them in different places. Men tend to carry these types of things in their pants pocket, but women tend to carry them in their purse. Consideration needs to be given to the type of clothes worn on a regular basis, including work clothes, whether they are business suits or construction attire. What the keys and other items are attached to and how bulky the keychain is will affect how it can be carried, so keep this in mind when designing the EDC keychain. Take the time to really think through what you will need on your EDC keychain. If you are a mom who is around kids a lot, you might want that keychain hand sanitizer. If you are a college student, you might prefer to have a flashlight or kubotan for when you are walking around on campus alone at night. Take your needs and preferences into account when designing your EDC keychain. When designing your EDC keychain, keep in mind your level of technical ability. 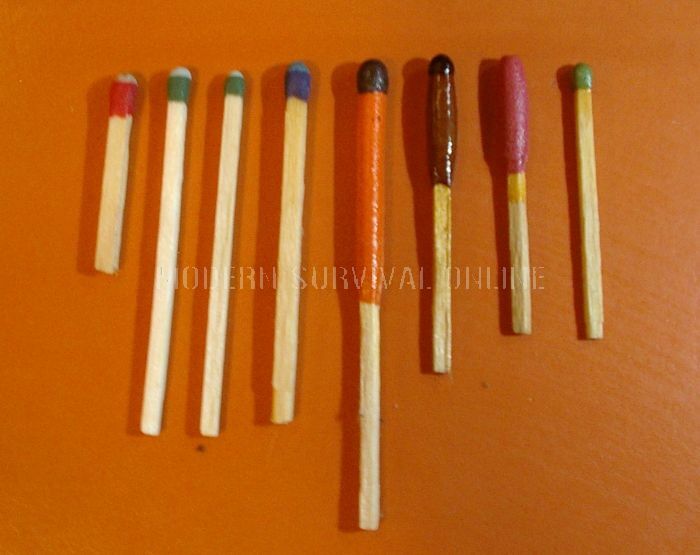 If you aren’t proficient with a striker when it comes to starting a fire, then perhaps a small lighter would be more practical. If you don’t know how to use half the tools on a multi-tool, then perhaps just a single blade would be a better choice. Be sure that you will have use for what you carry on your keychain and that you have the ability to use it. 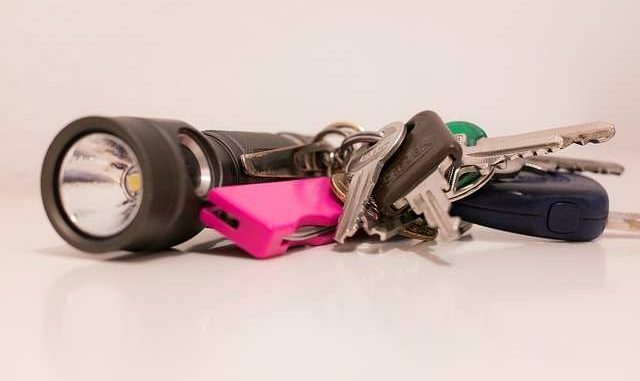 Many keychain flashlights are cheaply designed, and have a fundamental design flaw. Even of the flashlight may be decent quality, if it connects to your key ring with a flimsy chain and metal split ring, it will come off. I have tried several different keychain items with this arrangement, and they always break. I got into the habit of just pulling them off and finding another way to fasten them to the keychain. Here is a very simple, inexpensive LED type if you really want one for your keychain. I would suggest removing the clip and ring and threading the keyring through the hole the ring was in. My preference is to carry the Bushnell flashlight pictured above in my left hip pocket. I keep another one n my EDC Man-Bag and another in my vehicle. They are reasonably priced, well-constructed, and reliable. 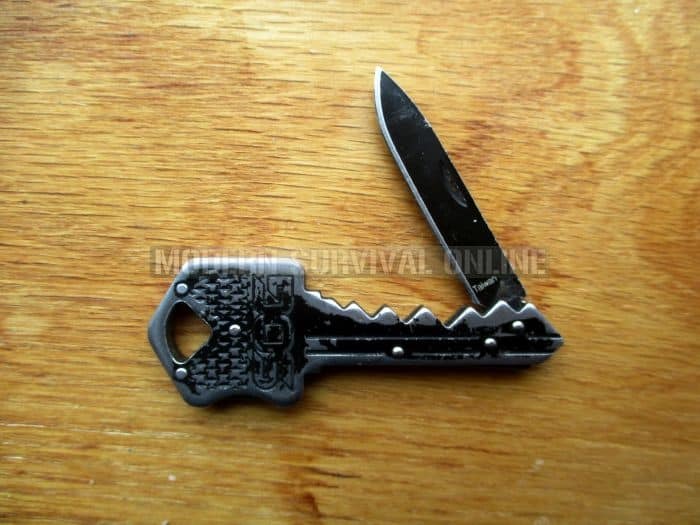 There are some good choices for keychain knives. Here are two of my favorites. The advantage both of these have is integral connection point in the knife to a key ring. There is no chain or link that can break. 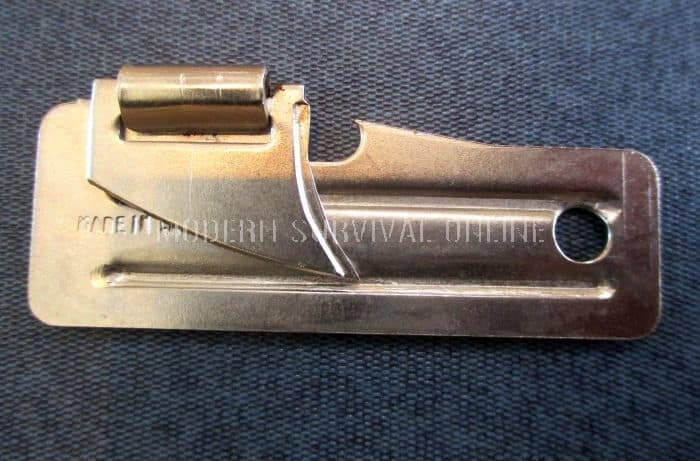 Thread the keyring through the hole in this SOG Key knife, or Gerber folder. 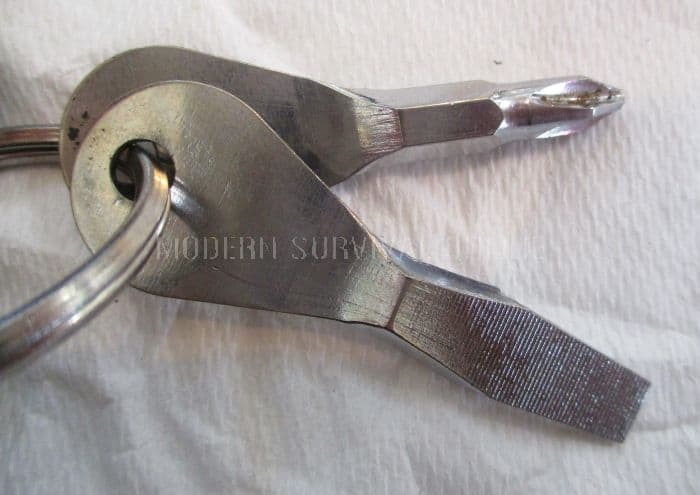 A cap lifter is more of a convenience item than a survival item, but I like to have one on my keychain, either as part of a multi-tool or multi-purpose device, or as a dedicated tool. Can openers are useful, simple, and readily available. Steel flat and Philips head screwdriver blades, with key-like tab that you can actually hold tight enough between your thumb and forefinger to get enough leverage to turn a screw. This can be a Swiss army knife or other type of multi-tool, but it should have a number of basic features, the first of which is a blade. It can also include a bottle opener, plyers, can opener, scissors, screwdrivers, saw, and more. It should be versatile and of good quality. 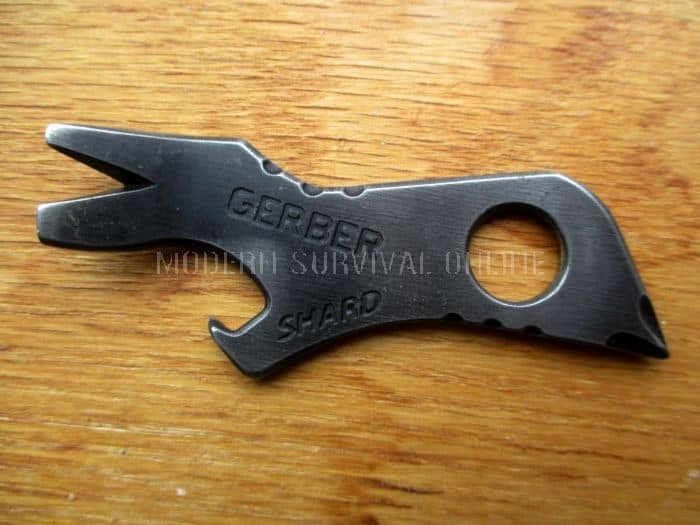 The Gerber Shard can pull a nail, remove a bottle cap, turn a Philips head or slot screw. There is a big hole that you can put your key ring through. 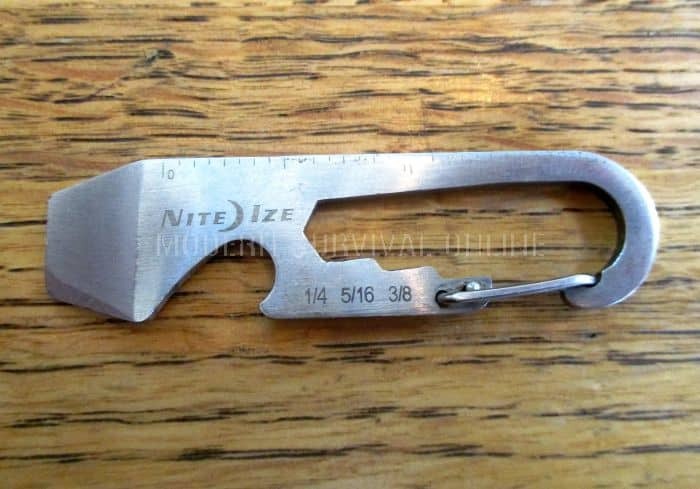 The Nite Ize DohiKey has a box opener/flathead screwdriver, cap lifter, and can turn two bolts, and measure. I have tried several Sharpie markers Sharpie keychain markers and they will not stay in place. The pen falls either out of the cap or the split rings pulls free. In any event, it does not work. Carrying a good quality pen is a more viable alternative. Having a pen on hand is always useful, but having one that is inconspicuous and can double as a weapon is phenomenal. A tactical pen can be used as a writing tool, which is great when you have to scribble down notes or make a list, but it is also made of durable materials and can be used as a non-lethal self-defense weapon in much the same way as the kubotan. Training in its proper use is required, as with the kubotan. The two pens pictured above do not look like weapons. That is because they are pens, not weapons. However, both have a rigid steel body and can be used as a weapon. 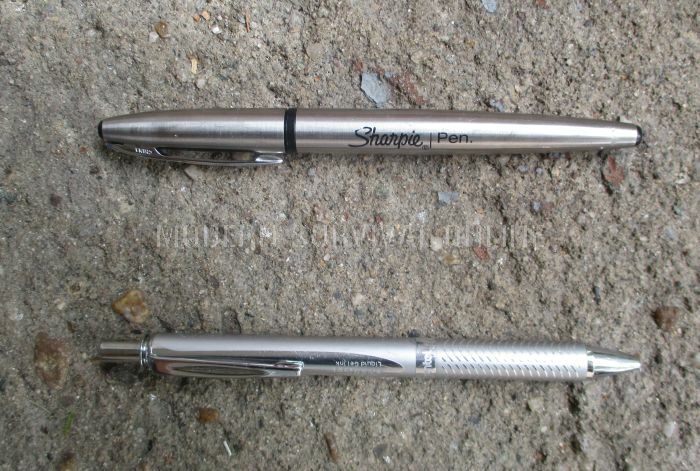 On top is a fine point marker by the well-known brand Sharpie (top), and Pentel’s EnerGel Alloy gel pen (bottom). The Kubaton is a self-defense weapon that is about the size and shape of a pen. 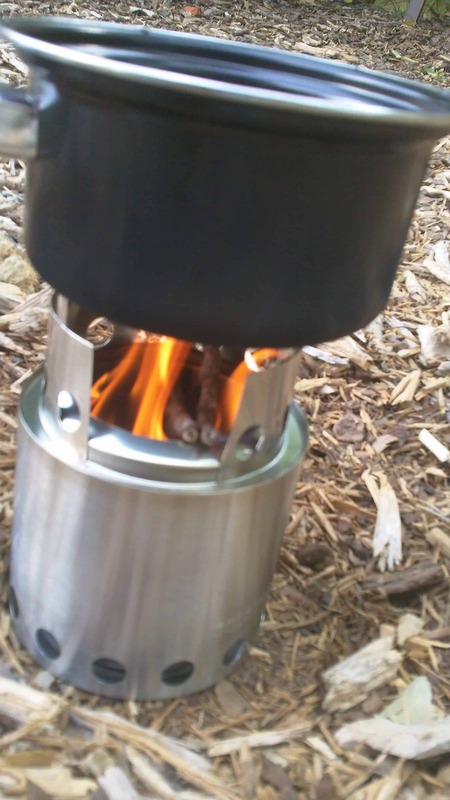 It is made of stainless steel, aluminum, a hard polymer, or wood. The kubotan is ideal for striking an assailant, prying a finger, or to press into pressure points or sensitive bony or fleshy parts of an attacker. It is inconspicuous and is generally not recognized as a weapon, which gives you an advantage over your attacker. The important thing to remember with the kubotan is that it takes skill to know how to use it effectively. It is important to get training and practice. Videos are not a substitute for live training. The video below is to give readers a look at how a Kubaton can be used for self-defense. This might seem an odd choice for an EDC keychain, but you can carry the entire contents of your computer on your keychain, which is useful for a number of reasons. First, you have a portable computer backup ready to roll at all times. If you can access a computer, then you will still have the capability of accessing your most important files, which might include practical instructions on various skills you might need such as what wild plants are edible, as well as movies, music, family photos, maps, and anything else that is relevant to you and your situation. Duct tape can be wrapped around other items on your keychain, such as a Kubaton or pen. A safety pin is so tiny and unobtrusive, yet so useful, that it is a must-have on an EDC keychain. Attach one or more of these little gems and you will have the means to temporarily repair clothing. It can also be used to pop out the SIM card from an iPhone, to change the time on a clock in your vehicle (if it has the tiny buttons), or any number of other ingenious uses. Multiple uses. You can use a rubber band to set your keyring on silent so to speak. Having the means to light a fire when you might be stuck out and away from home is a good idea. A lighter is an obvious choice, but there might be places you are not allowed to carry a lighter, either that or you do not want to be seen with one. If that is the case, you can carry a striker. Just be sure you know how to use it. Having a means of determining direction is important. This might not be necessary in the city, but if you have to get out of the city or get lost in the woods, then a compass might be a much-needed item. A watch might not easily fit on a keychain, at least not with its straps, but if you can, attach just the watch face (without the straps) or another timepiece that is small and easy to attach. This is important. Most people do not wear a watch anymore, but if your cell phone runs out of power or gets lost or stolen, you need a means to tell the time. If you have an EMP-safe timepiece, you will be that much more prepared. It is ideal to have one or two Bison tubes hanging on your keychain. These are about the size of your pinky finger and can hold small objects that you might want to keep with you. You can keep some water purification tablets in one, just in case you find yourself in a bind with no drinkable water. Allergy meds or personal meds you need can be carried. You can also use one to tuck away emergency cash and your emergency information. These are handy little containers. You can carry a few strike anywhere matches in the tube as well to fulfill item #13. Finally, you need to think about how you want to carry all the items, about what type of organizer you need. Some people prefer a lanyard and others prefer a more traditional style of key organizer. There are a number of options from which to choose, so it is best to familiarize yourself with all of them before you make a decision. 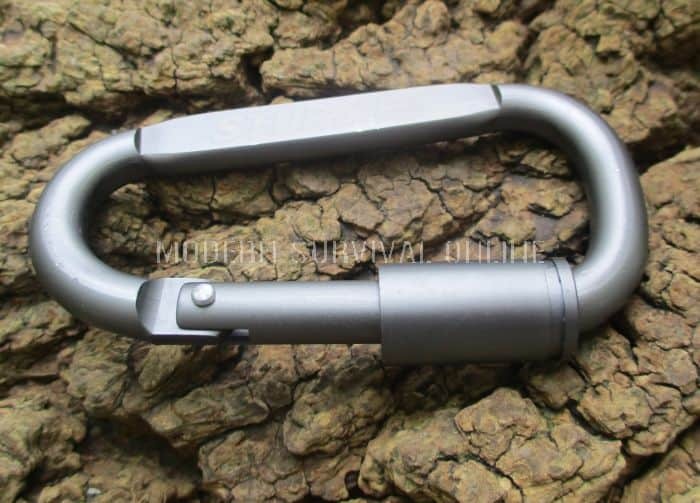 A carabiner with an open or locking gate, with a split ring will hold a large number of keys and the EDC items you need. A lanyard is a useful method of carrying your keys and other EDC items. It can hang around your neck, but still be stuffed into a pocket or a purse. Do not overdo it… however, do have fun with it! 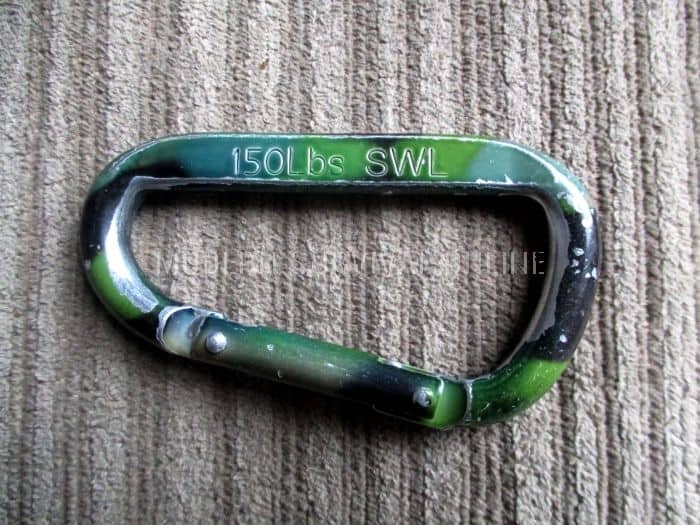 You do not need a 20 pound keychain. Know when you have enough. This will be a trial and error process. Day to day, as you find yourself wishing you had a certain item, add it to the key chain. If you carry on item on your keychain you never use, remove it. Ultimately, creating your personalized EDC keychain can be a lot of fun. You can use different colors and styles of items to create something that is functional, easy to carry, and attractive to look at. In addition, you will have everything you need at your fingertips, no matter what kind of situation you end up in. What are the Best Survival Flashlights? Some good ideas listed. One thing to keep in mind is that most jurisdicitions and law enforcement consider kubatons and tac pens as weapons. Just try clearing entrance to your local Law Library or Court areas with the items if you’re not sure! Stay away from ‘crenulated’ (semi circle relief cuts in outer edges) flashlight lens holders, or kubatons with them, its a weapon. Tac pens, the updated kubatons are generally weapons given the host of goodies concealed within. For most passive compliance defenses go old school. A straight ol’ Bic Pen or some of the newer metal cased ball point pens are items that will pass any scrutiny wihout raising questions. No matter where you are, a flashlight in a pocket or near at hand is a great weapon to buy some escape time. Get one that doesn’t look Tacticool. You’re looking for one that’s a white nearing visible blue color- it will temporaroly blind in bright Sun light. Remember the old flash bulb/strobe effects on you eyes? That’s what you’re going for. If you need to refer to a book to learn how to start a fire or build an emergency shelter, you’re doing it wrong. These are critical skills you should already know how to do. Plant ID, on the other hand, is something good to have, but it should be more available for quick access, like on a phone or tablet. Having information does you no good if you can’t access it..
My key chain has gone ‘critical mass’ :^), and I think I’m going to have to go with a stand alone EDC kit. 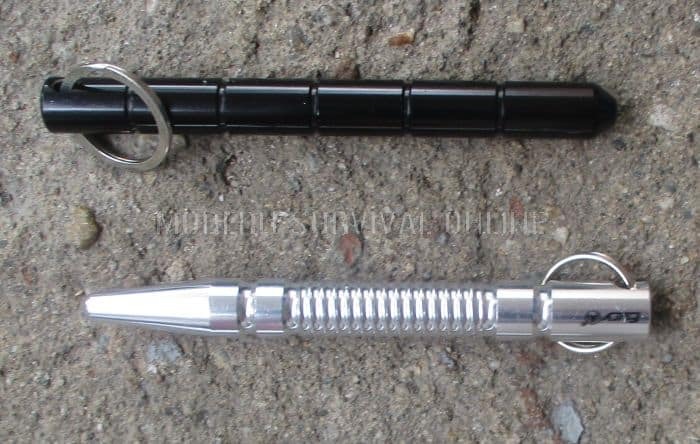 The usual items – upgraded SAK Classic, micro flashlight (True Nano), magnesium rod w/ striker and sewing bobbin w/ military trip wire. Along with keys and car alarm, getting a bit bulky for one unit. Your article gave me some good ideas – Thanks for that ! A Cross brand pen and/or pencil are durable enough for a weapon but are what quite a few professional folks carry. This is my choice, no knurling, no crenalated edges, just an all steel pen that is quality made, and an everyday item. Go grey, these you can take into a federal building and TSA has never had any second thought’s. I carry 2 sets of keys with me at all times. Both control access to my vehicle and my home. Both are attached to my belt, one with an aluminum D-ring, the other a leather strap that cops used (years ago) for the key to phone boxes. They each have roughly 15 feet of braided 550 cord. At one point, I carried some survival items on each ring, mini-multitool, Swiss Army Knife (Tinkerer), small pill container, thumbdrive and flashlight. The key rings became too cumbersome, so I pulled all that stuff off. Now, I just have a small glass cleaning cloth in a pouch that I bought at Cabelas. My EDC on my belt and in my pockets is probably double what most survivalists carry. If something goes wrong now ,what would you do ,Right Now ! Plan ahead ( Prepate). I also have two separate keychains, one strictly for my necessary keys and a small light and self-defense implement, and the other is my EDC keychain, on a lanyard. 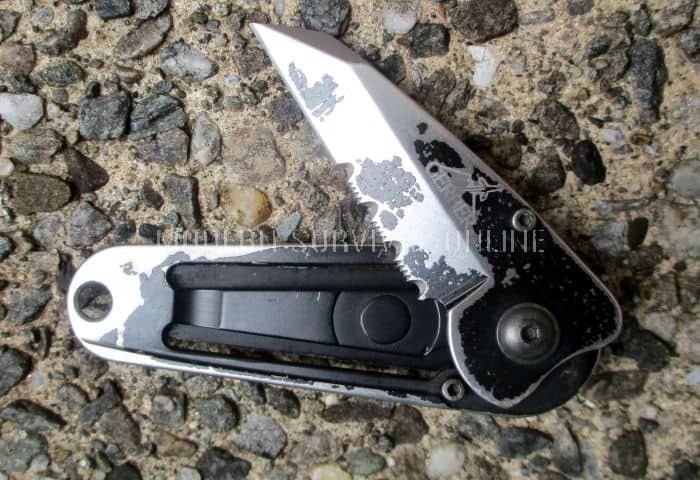 The reason being is that the bulk of the EDC can damage your keys and make it so that it becomes very difficult to use them. That being said, some good tips for an EDC chain. One thing I might recommend is buying a pre-fab keychain roll of duct tape instead of trying to jerry-rig it yourself if you’re not sure you can. I think Amazon sells a variety of it and also a company called Gearward I know does. Also, I don’t know where the previous posters who say watch out carrying a tactical pen live, but I carry mine everywhere, even into weapon-free areas and also on flights with no problem.